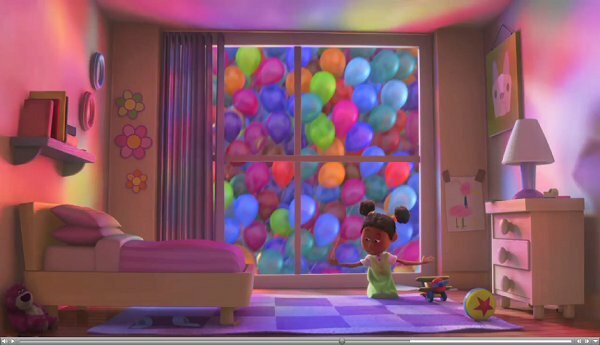 And every once in a while, the Pixar Easter eggs are nods to upcoming animated films, as when a Nemo doll was spotted in the original Monsters Inc. and a Lotso Huggin’ Bear could be found on the floor of a young girl’s bedroom as a balloon house floats by in Up. So it’s safe to assume that director Dan Scanlon would work a few Easter eggs into his new feature, Monsters University, which opens on Friday. Recently, I had the opportunity to venture out to Pixar’s headquarters in Emeryville to talk to them about Monsters, but for just a moment, I asked them to look ahead by inquiring if there are hints to future Pixar films anywhere in Scanlon’s film. “There might be a little nod to the next film that will be coming out next year, so keep your eyes peeled,” said Monsters U producer Kori Rae. I was able to see Monsters University once again after speaking with the duo, and I think I know where to look. They key is to know that Pixar’s next two features involve dinosaurs and something that has to do with the human brain. 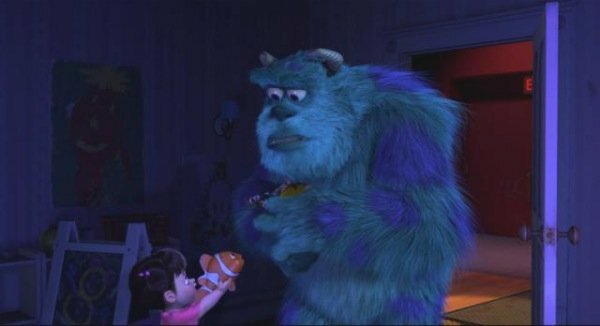 So, late in Monsters University, you’ll see a scene where dueling monster squads compete in a Scare Simulator, and it’s on the floor of those fake bedrooms where I think you’ll see Easter eggs to the next few Pixar features. Scouring the scenes -- and they fly by quickly -- I know I saw stuffed animals of dinosaurs. Could these be subtle introductions to characters we'll get to know in Pixar's dinosaur film?